Rainscene Umbrella is proud to offer high-quality, customized umbrellas! We'll be happy to apply your logo, name, or message on a custom-printed umbrella. The process is fast and easy! 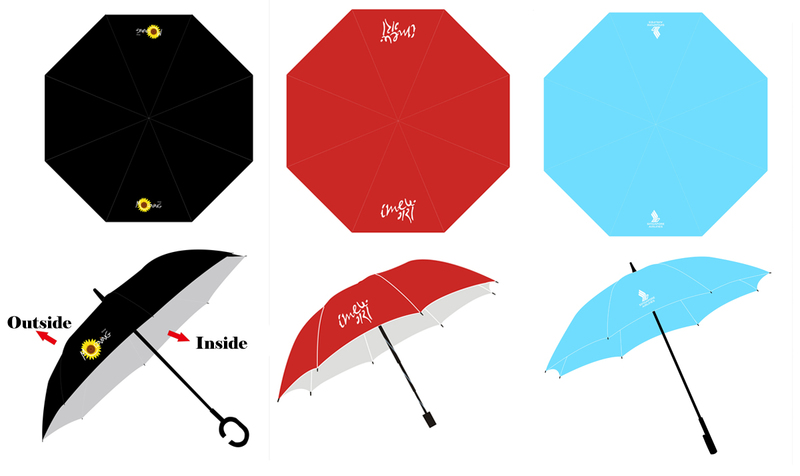 It couldn't be easier, and we're sure you'll love your new customized umbrella! As with all of our products, we take pride in fast turnaround and quick delivery of our custom umbrellas. Our custom umbrellas are perfect for sports teams, company events, family reunions, or product promotion! Why not give a gift that will be used over and over again?